Glamorgan: Can the nearly men of 2015 succeed in 2016? So near and yet so far. Glamorgan's 2015 campaign was a familiar story. The county almost produced the goods with a real challenge for Championship promotion and almost sneaked into the knock-out stages of the T20 Blast. So will 2016 be the year of the team hitting the high notes, rather than relying on Ricky Wilson and Mick Hucknall to do so when The Kaiser Chiefs and Simply Red perform at the Swalec Stadium this summer? If Glamorgan don't produce the goods, it certainly will not be a consequence of people in key positions lacking an affinity for the county. New head coach Robert Croft certainly has plenty of goodwill on his side from supporters after his years of playing service, completing a trio of club legends with president Alan Jones and chief executive Hugh Morris. The unknown factor is whether Croft can get more from similar resources to last year as he steps up from a specialist role to an overall management job. Off the field Glamorgan have club icons in place, but can this season's squad make themselves the Glamorgan heroes of tomorrow? Captain Jacques Rudolph is hopeful that there will be extra strength in depth in the first-team squad and that seems true in the bowling department at least. The addition of Aussie-born Holland paceman Timm van der Gugten to the seam bowling department should allow the trusty trio of Michael Hogan, Graham Wagg and Craig Meschede the odd game off to re-charge their batteries, rather than being flogged from pillar to post. Middlesex youngster Harry Podmore will provide cover for the first block of six championship matches, while Ruaidhri Smith completes his university exams and hopes for better luck with his fitness. Keen young spinner Andrew Salter will want to turn his promise of early 2015 into a larger haul of wickets. But the batting department will need better competition with the untried Nick Selman effectively replacing Ben Wright. Aneurin Donald will want to mould an all-round game to add to his stroke-making talent, while all-rounder David Lloyd could play a valuable role in balancing the side, batting at six and bowling as fourth seamer. 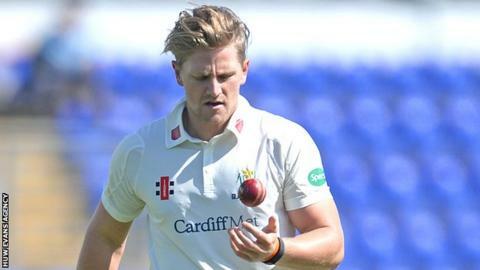 Glamorgan also now to be more competitive within their own squad and for the first time in a long term will have to consider hard who to leave out of their starting side. The key to the T20 Blast will be getting the batting order right, with Colin Ingram, Chris Cooke, Donald, Meschede and Wagg all capable of big hitting. Aussie speed merchant Shaun Tait is a big-name recruit for the second half of the campaign and should be a decent draw for fans. But with plenty of bowling options, including the wily spinner Dean Cosker who celebrates 20-years with the county, a batting specialist might be more effective if anyone suitable is available for the first half. With only one team being promoted in the Championship, white-ball cricket is more likely to provide success in 2016. At least Welsh supporters, starved of silverware since 2004, can look forward with cautious optimism.